Credit where credit’s due – Canterbury U3A’s inspiration came from a speaker from Meopham U3A at last year’s South East Region Research Conference at the Royal Holloway College at Egham who told us about Nikki, the wonderful Bumblebee lady, who came to give them a talk on bumblebee ecology and so inspired them they signed up to the bumblebee survey walk programme. We could give that a go at Canterbury, I thought, after all we did something similar recently with freshwater snails. So I located the Bumblebee lady (Dr Nikki Gammans from the Bumblebee Conservation Trust) and invited her to Canterbury to present a session on Bumblebee ecology and identification and to tell us about the Bumblebee walk scheme. This proved so popular that the first session was oversubscribed and we had to invite her back for a second go. 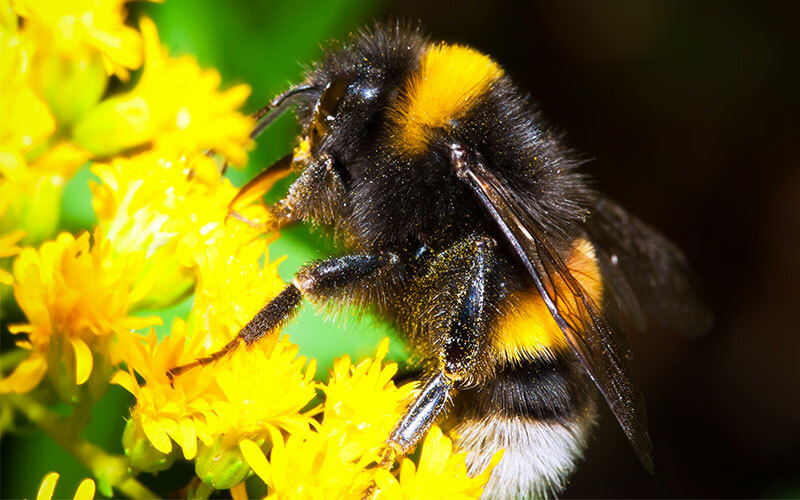 The Bumblebee Conservation Trust (BCT) aims to collect data on the current Bumblebee population and has devised the Bumblebee walk scheme where volunteers register a specific route 1.5 to 2 Km – technically known as a “Transect” – and walk this route once a month, between March and October, identifying and counting the Bumblebee species and caste (i.e. Queen, Worker or Male). Canterbury U3A have registered two transects – one along the River Stour in Canterbury starting at Toddlers Cove and going through Hambrook Marshes – and the other along the slopes at Herne Bay starting at the Kings Hall. There are about 24 interested volunteers, with around 8 being the maximum on any given walk. Our first walk was in June and our tally for the season was 212 records of 10 different bee species. Our numbers are growing all the time with interested people joining as a result of the posting on the research website. We are enthusiastic but have been quick to realise how much we still have to learn, not only about the bumblebees, but also about the plants on which they are feeding.